Shop online for 139 monroe model trains at discounts up to 36%. Buildings is the most popular of the 6 monroe model trains categories, then Railroad Scenery, and Bridge-Trestle-Girder. 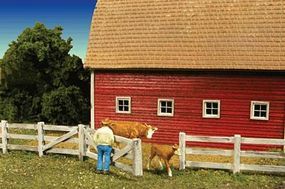 This is the Barn Yard Fence Model Railroad Building Accessory in N Scale by Monroe Models. This is the Barn Yard Fence Kit Model Railroad Building Accessory in HO Scale by Monroe Models. 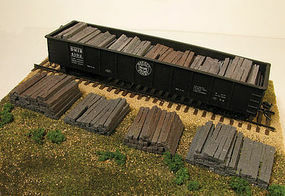 This is the Weathered Railroad Tie Stacks 4 Pack Model Train Freight Car Load in HO Scale by Monroe Models. 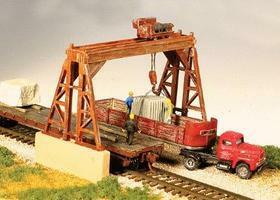 This is the Overhead Gantry Crane Kit Model Railroad Building in N Scale by Monroe Models. 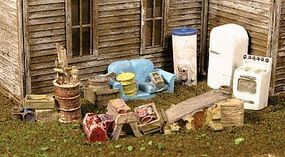 This is the Back Yard Junk Mini Tales(TM) Kit Model Railroad Building Accessory in HO Scale by Monroe Models. 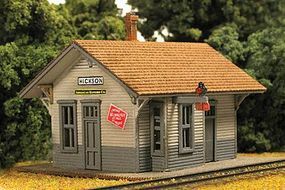 This is the Hickson Depot Kit Model Railroad Building in N Scale by Monroe Models. This is the Junk Yard Fence Model Railroad Building Accessory in N Scale by Monroe Models. This is the Jurgens Junk Yard Kit Model Railroad Building in N Scale by Monroe Models. This is the Ornate Picket Fence Kit Model Railroad Building Accessory in HO Scale by Monroe Models. This is the Hobo Creek Bridge Kit Model Railroad Bridge in N Scale by Monroe Models. This is the Single Track Stone Arch Bridge Kit Model Railroad Building in HO Scale by Monroe Models. This is the Railroad Loading Ramp & Dock Kit Model Railroad Building in HO Scale by Monroe Models. This is the Scrap Yard Set Model Railroad Building Accessory in N Scale by Monroe Models. This is the Ellie's House Kit Model Railroad Building in HO Scale by Monroe Models. This is the Country Road Bridge Kit Model Railroad Bridge in N Scale by Monroe Models. 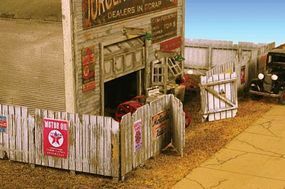 This is the Junk Yard Fence Kit Model Railroad Building Accessory in HO Scale by Monroe Models. This is the Automobile Junk Scrap Yard Pile Model Railroad Building Accessory in N Scale by Monroe Models.